Microsoft does provide a lot of information to Windows Phone App developers about the Windows 8 and 8.1 User Interface, but they don’t tell you how big your icons should be or where exactly they should be placed within the tiles to match Microsoft’s own Application Tiles. 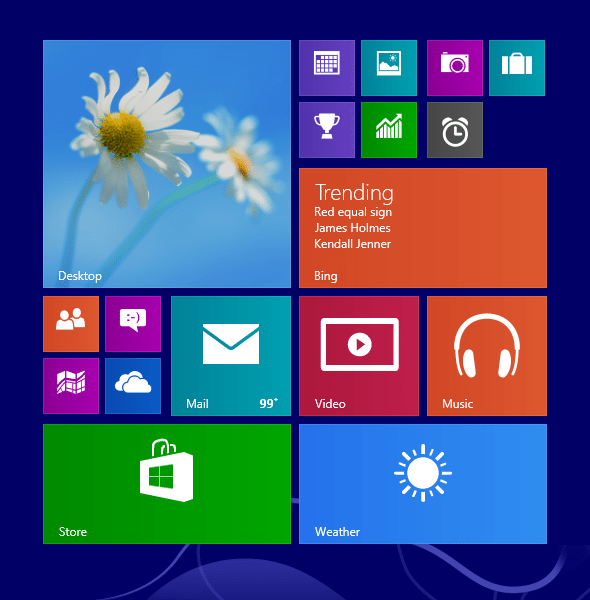 This guide provides those answers so you can correctly emulate the Windows 8 coloured tile icon style. However, for Windows Phone 8.1 only 4 sizes are commonly used, as highlighted above, so it is those sizes we will concentrate on. As you can see from the examples above, the white metro icons are horizontally centred but vertically offset. Extrapolating from Windows’ own default icon tiles, the following icon sizes and proportions can be calculated. Bear in mind these dimensions are approximate based on a square icon. 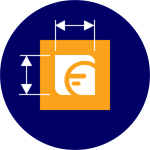 The relative weight and proportions of your icon should be taken into consideration, rather than trying to match the dimensions suggested below. Just remember Microsoft does not provide these dimensions and I provide these as a guide. Feel free to experiment with different proportions and offsets, and remember the text you decide to include will also have an impact on positioning. Always render your finished Tiles as transparent PNGs with your white icon correctly positioned within the file.